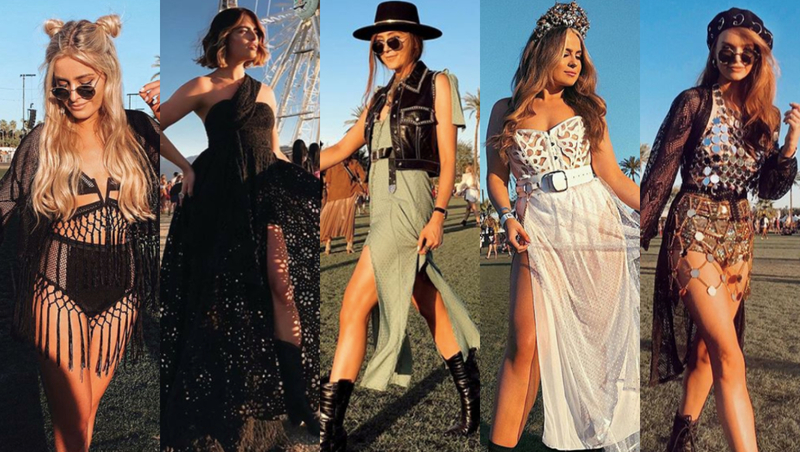 Some of our favourite Irish influencers are over in California for Coachella this weekend – and they’ve been killing it in the style stakes. From edgy leather looks, to boho chic maxis – the likes of Erika Fox and Niamh Cullen are seriously nailing their festival wardrobe this year. After enjoying their first night at the star-studded festival on Friday, they headed back for round two on Saturday, and their outfits were so fab. Erika looked fab as she put a chic twist on a cowgirl-style outfit with a green maxi dress and large black belt. 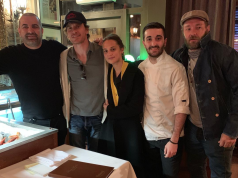 She pulled the look together perfectly with a pair of black cowboy boots, a wide brim hat and a sleeveless leather jacket. Erika also layered up on the accessories and wore a number of rings and chunky necklaces. Louise Cooney went to the dark side for day two of Coachella. The popular influencer wore a black fringe number from LA-based festival wear brand, EastnWest Label. She softened the look by donning cute space buns in her hair – we love! Aideen Kate went for all white for the second day of Coachella – which she paired with an AMAZING crown. The beauty blogger stunned in a creative outfit, as she layered three sarongs together to create a stunning skirt, with a chunky belt and a white corset to finish off the look. Aideen paired the look with black combat boots and kept her makeup simple with a gorgeous gold eyeshadow. Former Miss Ireland Aoife Walsh definitely went for a more edgy look for day 2. The flame-haired beauty looked amazing in a metallic coin top, but we especially loved her black beret. Lauren went wore a fab black maxi dress for the second day of the festival. The blogger looked stunning in the flowing gown with a high slit and layers. The dress had one large strap over the left shoulder and Lauren paired the fab piece with simple black boots to complete the look.